Libertarian nominee Grayson “Kash” Jackson and state Sen. Sam McCann of the newly created Conservative Party also participated. If it does, Rauner said, the “machine wins” – and that will give way to higher taxes and more bureaucracy and will cede control of the state legislature to Democrats for the next decade, given that the next governor will have say in how the next legislative district map is drawn. Gov. Bruce Rauner and J.B. Pritzker appear on “Chicago Tonight” on Aug. 14, 2017 and March 14, 2018, respectively. “On almost every topic imaginable, Bruce Rauner has utterly failed to deliver on the promises he made on the debate stage in 2014, giving Illinoisans little reason to believe anything he says tonight,” Pritzker campaign communications director Galia Slayen said in an email. 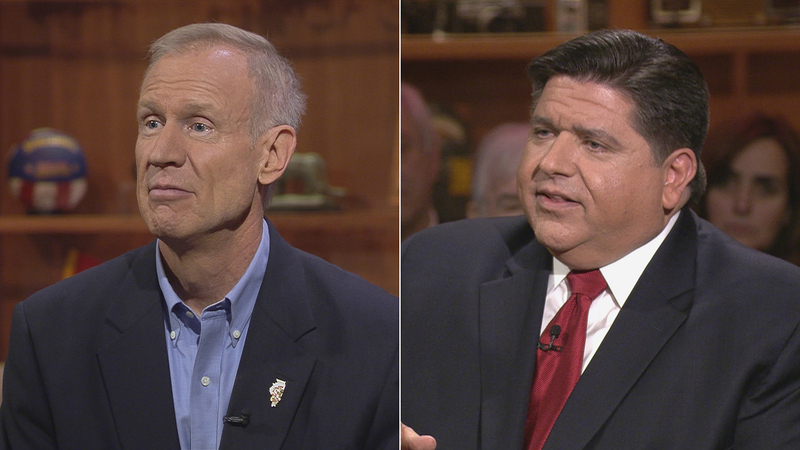 There will be few other opportunities to see Pritzker and Rauner face off. They’re both set to attend an Oct. 3 debate sponsored by ABC7 Chicago, Univision and the League of Women Voters, an Oct. 11 debate in Quincy sponsored by WGEM and the Illinois Broadcasters Association, and they’re both scheduled to appear before the Chicago Sun-Times editorial board. Both candidates are expected to talk with MIKVA students during a special episode of “Chicago Tonight” on Monday, Oct. 8.